World Ballet Day LIVE Returns October 1! Following last year’s unprecedented collaboration for the first World Ballet Day LIVE, five of the world’s leading ballet companies will once again stream 23 hours of live, behind-the-scenes footage on Thursday, October 1. The Australian Ballet, Bolshoi Ballet, The Royal Ballet, The National Ballet of Canada, and San Francisco Ballet have partnered to provide viewers around the world with an inside look at professional ballet companies in the studio, on tour, and in performance. 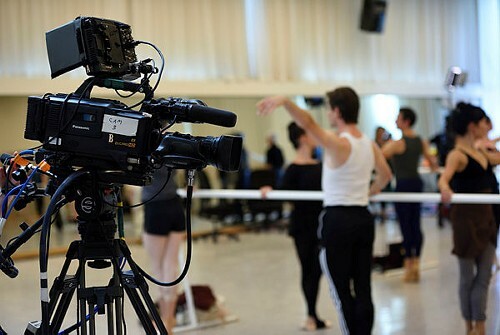 This year, World Ballet Day LIVE will include pre-recorded footage from a wide range of regional dance organizations geographically close to the five participating companies. Please know that we are able to bring you this notice with The Compliments of the San Francisco Ballet Company. Dear Reader, please follow this link to read the full press release. This entry was posted in Arts / LifeStyle / Travel and tagged Australian, Ballet, Bolshoi, National Ballet of Canada, Royal Ballet, San Francisco Ballet. Bookmark the permalink.